It may only be preseason and just the pregame warmups, but New York Giants WR Odell Beckham Jr. is showing off his one-handed catching abilities in style. Every great WR has a signature move or moment in his career. For New York Giants WR Odell Beckham Jr., it was the Sunday Night Football game against the Dallas Cowboys, when he made that leaping one-handed grab that pushed him onto a new level. Since then, Beckham Jr., has been doing it constantly, from pregame warmups to the actual games. 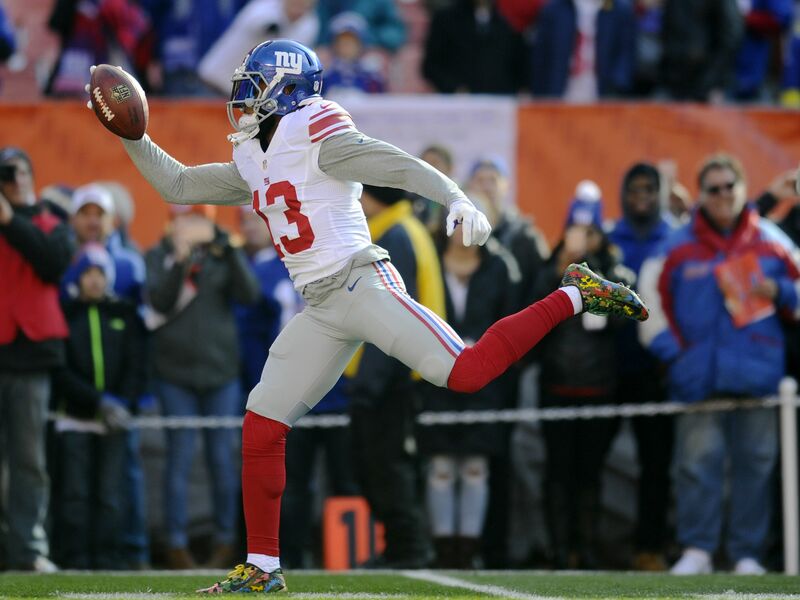 This offseason, there was a lot of talk about the type of contract that Beckham Jr. deserves. He’s still on his rookie deal, but clearly has outplayed it thus far. Although he could’ve chosen to stay out of training camp to try and get a new deal — I’m looking at you, DT Aaron Donald — Beckham Jr. showed up. Looks like the offseason practice is helping Beckham Jr. now. The Giants are set to play their preseason opener against the Pittsburgh Steelers and the Giants’ WR is back doing his thing during pre-game warmups. Beckham Jr., just casually sticks his right arm out and is able to caress the ball in on a fairly deep throw with good velocity. He’s been practicing for years, but it’s still amazing to watch how easy he makes it look. Let’s see if translates to the actual game, because two of the best wide receivers in the game will be facing off tonight at MetLife Stadium in Steelers’ Antonio Brown and Giants’ Beckham Jr. So far, in warmups, the advantage seems to be favoring the younger, more explosive Beckham Jr. Let’s continue to watch if these two dynamic players can make plays during the game when it actually counts.